Before the selfie stick there were pictures I took of myself with my arm extended. I was good at it. Observe. that one time we celebrated birthmonth together. that one time enjoyed the theater. that one time we tried paintball. that one time I had my hair in braids. that one time we went to the farmers market by bike. that one I went gallivanting in the Philippines. that one time we hung out by the pool. that one time we were served champagne on a plane. that one time we were on a boat. that one time we looked like we just came from a workout. that one time we had tea and played on the beach. that one time i had my own hammock. that one time we went on an eight hour hike. that one time we were too tired to jump. that one fourth of july…in snowboard gear. that one time I met a celebrity chef and got freebie ice creams. that one time we explored the roof top. also, duck face. that one time I dress up as Lilo for Halloween. Enter the selfie stick. I’m still a little embarrassed to admit I own one (they were giveaways at an event I went to), but I will admit they are great for taking full body photos of yourself when you are trying on clothes and for some group photos, of course. I’ve only used it on these two occasions so far. The first occasion: trying on a dress. I bought a cape dress and I wasn’t sure if I could pull it off. I snapped some photos and sent them to my fashion forward friends. 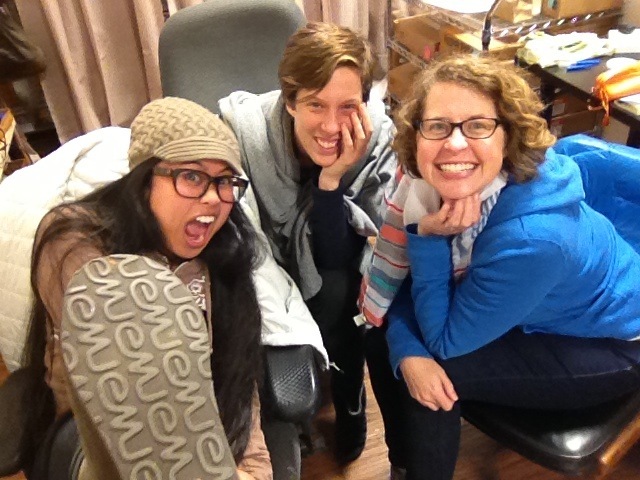 Selfie stick = helpful! Oh, and I kept the dress. The second time I used it was during my Craft Lady Collective meeting. I really don’t like when the stick shows in pictures so I did my very best to keep it hidden. I’m going to have to work on this. 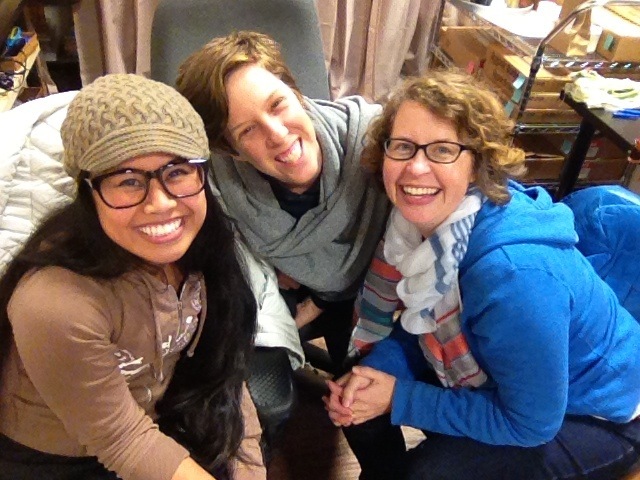 Meet my maker friends: Angel of Todos Organics and Erin of Tables & Spoons. The selfie stick is a nice, lightweight alternative to the tripod, but really, selfie sticks only work at certain angles, e.g. with camera lifted upwards, otherwise, everyone is complaining of their non-existent double chins. I’ll probably only bring it with me for special events, until I upgrade and switch to an actual camera, but I’m also fine with having someone else take our photo or just playing photographer. What say you? Selfie stick – sure thing or no way? Previous Postthe other ‘w’ word.